Support Frog Conservation With a Night at the Zoo! You may have heard ads on the radio or received an email about Wine and Design: Paint for Conservation, but here’s a little more insight into why we’re having this event. Last year we hosted Cheers to 50 Years, an event celebrating our 50th anniversary. 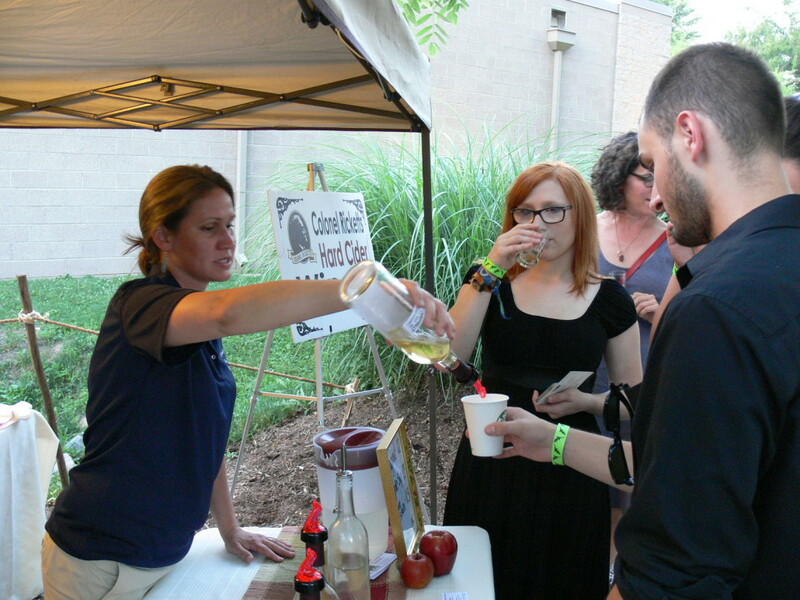 Attendees raised a glass to our milestone with wine and beer samples from 8 local producers. 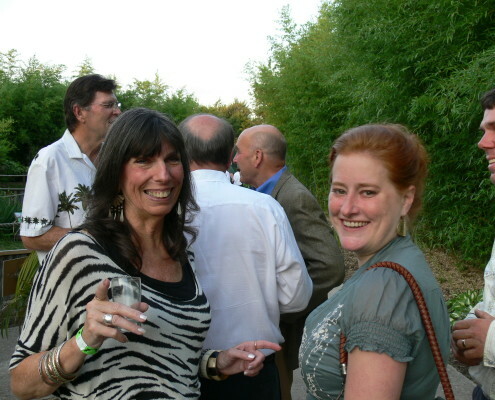 The Genetti generously sponsored the event and provided fantastic food for all 300 guests. 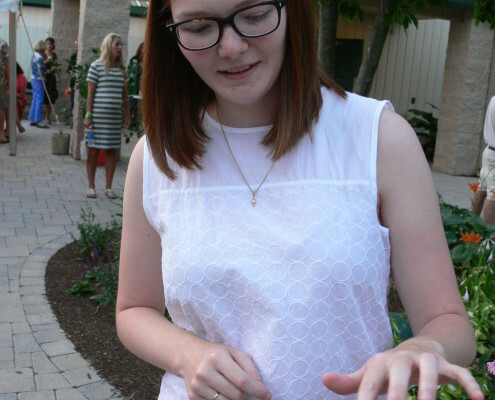 The zoo was lit by torches and lanterns, live music filled the air, and zoo keepers strolled around with animals. We even fed our gators and komodo dragons for everyone! It was the first time we threw an event like that, and we received such positive feedback afterwards, we knew we had to do it again (in some capacity). Without a big anniversary to celebrate, we weren’t sure what to do. Sure, we could throw a big party and invite everyone, but we wanted it to be something more than that; we wanted it to have a purpose. Knowing how popular Wine and Design has become, we wanted to incorporate that with a night at the zoo, but in a way that made sense. Then through a few team brainstorming sessions, we had an “AHA!” moment. 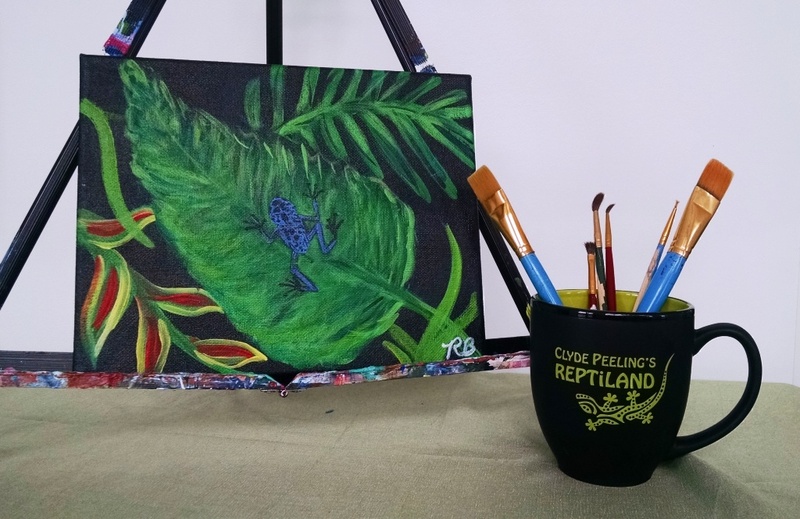 We could invite Wine and Design Williamsport to come and teach guests how to paint a tropical scene with exotic frogs, then donate a portion of ticket sales to amphibian conservation! 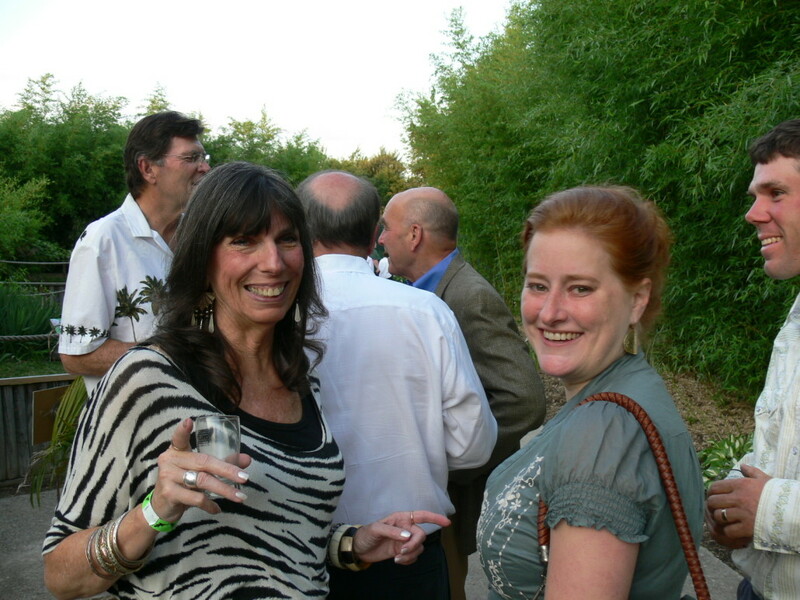 Thus, Wine and Design: Paint for Conservation was born. Few people realize, but the global amphibian crisis is serious: nearly 1/3 of the world’s amphibian species are known to be threatened or extinct, as many as 159 species may already be extinct, and at least 42% of all amphibian species are declining in population. 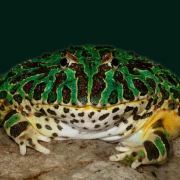 For these reasons (and other alarming facts not listed), we are donating funds to the Amphibian Taxon Advisory Group (ATAG) to support amphibian conservation. Every little bit helps, and we’re anxious to contribute to this cause, above and beyond our existing conservation efforts. As excited as we are to have partnered with Wine and Design, the truth is, you don’t need to paint to enjoy the event (or help frogs). 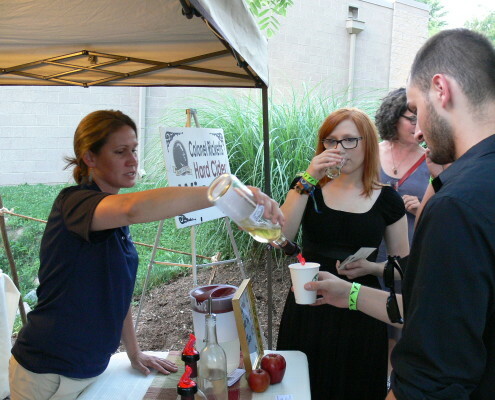 We realize that not everyone is the painting kind, so we’re selling non-painting tickets at a lesser rate for those that just want to enjoy a great night out at the zoo! The Genetti is providing refreshments and selling wine. Blue River Spell will be playing a little bit of everything (they take requests, too!). 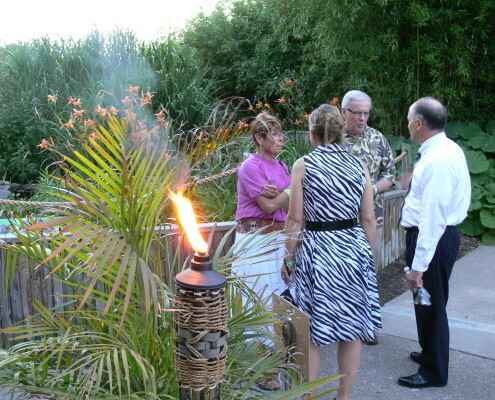 We’ll have all the zoo exhibits open*, animal encounters and feedings throughout the evening, and zoo grounds lit up with torches–a perfect summer night! Another special part of the event comes from one of our very own volunteers, Austin Orelli. Austin helps out at the zoo every Wednesday, and he’s a great worker. Lucky for us, he’s also the talented artist behind The Wildlife of Autism! He will be here selling his animal-inspired artwork and will donate a portion of the proceeds to the ATAG as well. We’re so grateful for his involvement, and we know everyone will enjoy his art! We invite EVERYONE to come support frog conservation with a night at the zoo! Tickets are on sale now- click here for more information or call 570.538.1869. Note: Even if you can’t make it to the event, we’d appreciate if you’d share this with your friends and family–the more attendees, the more funds (and awareness) raised for amphibians! *Our butterfly greenhouse will be open from 7:00-8:00 pm during the event. https://reptiland.com/wp-content/uploads/IMG_20150615_153504399.jpg 664 1024 Clyde Peeling's Reptiland http://reptiland.com/wp-content/uploads/reptilandlogo.png Clyde Peeling's Reptiland2015-06-15 16:29:242018-08-22 08:35:43Support Frog Conservation With a Night at the Zoo! Spring Forward: Exhibits, Events, and Warmer Temps! While it may feel like winter will never end, this weekend we “spring forward” by moving the clocks ahead an hour; if nothing else, at least it’s a step in the right direction! Aside from the longer days, sunshine, and greenery to look forward to, we’re especially excited for spring because it means the return of our seasonal exhibits, plenty of kids visiting for field trips, and the anticipation of awesome events to come! Our hugely popular dinosaur exhibit is back…and bigger than ever. Dinosaurs Come to Life features 6 static models and 7 life-size animatronic dinosaurs, the most we’ve ever had! With a whole T. rex family, the impressive Quetzalcoatlus (NEW! ), and Dilophosaurus‘s new paint job, we can’t wait for you to see them all this spring! Peaceful music, lush landscaping, and hundreds of flitting beauties–our butterfly greenhouse is like a springtime oasis. 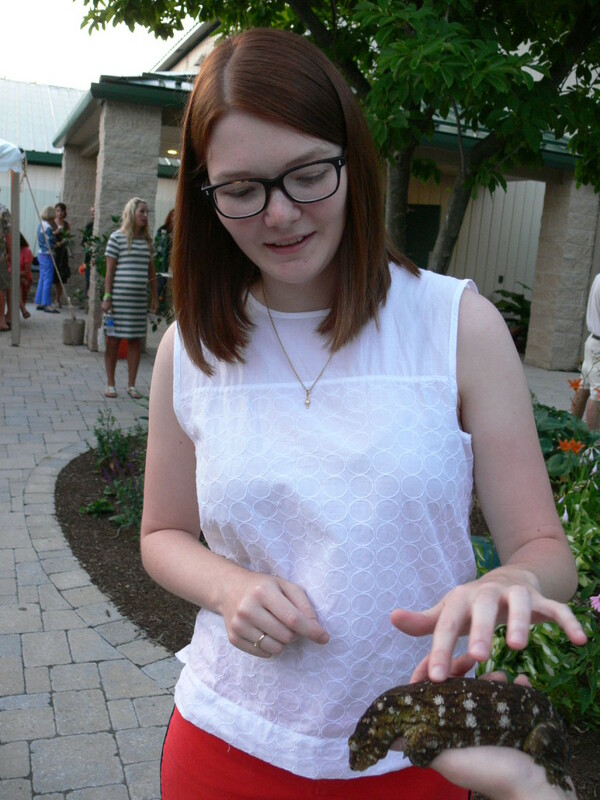 We also offer the opportunity to feed the butterflies. Since different species can be seen throughout the duration of the exhibit, be sure to stop in a few times to see them all! Note: Memberships are great for visiting again and again! In preparation for the slew of kids who will be coming through our doors soon, we stocked up on new items for the Natural Selections Gift Shop. Come check them out! Join us for an entire weekend dedicated to dinosaurs. Paleontologist and dinosaur enthusiast “Dr. 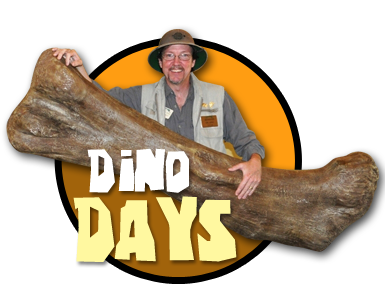 Dino” (AKA Chris DeLorey of the Brevard Zoo, FL) will be here to show off his extensive fossil collection and take guests on a special dino hunt! Fun activities, prehistoric artifacts, and animatronic dinosaurs–mark your calendars for this DINO-mite event! On its own, Wine & Design is a great way to spend time with family & friends, paint a beautiful picture, and relax with a glass of wine (or two). This summer, we’re excited to pair the Wine & Design experience with a great cause: frog conservation. Frogs are disappearing at an alarming rate, and this event will raise awareness and funds for the global amphibian crisis. Guests can paint a picture showcasing these beautiful creatures, then walk through our Exhibit Gallery to admire them in person. A portion of ticket sales will be donated to the AZA Amphibian Conservation Grant Fund, which supports amphibian-related conservation as well as scientific and educational initiatives. Much of this event is still being planned, but we hope you’ll consider attending to help support this worthy cause (and enjoy a beautiful evening at the zoo)! We will post more information as soon as possible, but tickets should be on sale by late May. Check back for more details and be sure to follow us on Facebook, Twitter, and Pinterest for other important zoo updates. In the mean time, until Spring actually arrives, keep warm! 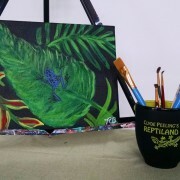 https://reptiland.com/wp-content/uploads/shutterstock_30133318_2.jpg 203 203 Clyde Peeling's Reptiland http://reptiland.com/wp-content/uploads/reptilandlogo.png Clyde Peeling's Reptiland2015-03-04 13:46:512015-12-23 16:46:55Spring Forward: Exhibits, Events, and Warmer Temps! 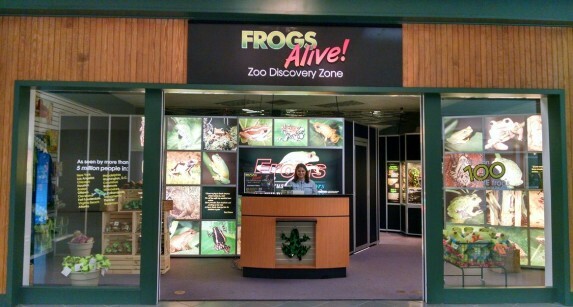 Take a break from your holiday shopping and check out Frogs Alive! This limited-time exhibit is at the Lycoming Mall through the end of the year. Conveniently located next to Old Navy, it provides a great escape for anyone who needs a time-out from all that shopping–especially the kiddos! It’s been seen by over 5 million people in big cities across North America, and now people in Central PA have the opportunity to experience it! 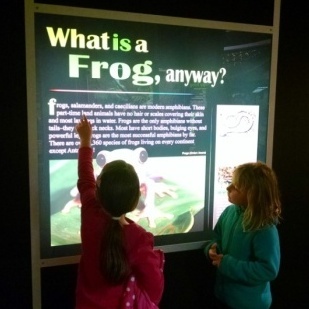 With over 100 LIVE frogs, interactive exhibits, and educational graphics, Frogs Alive! is a must-see exhibition. 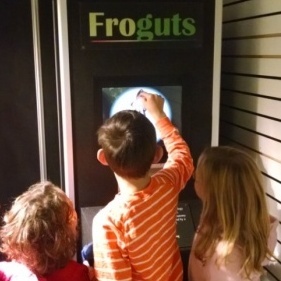 So whether you need a hiatus from holiday shopping or you’re just looking for something fun to do, visit Frogs Alive!, open through December 31, 2014. Call 570.538.1869 for hours. Have a very hoppy holiday season! 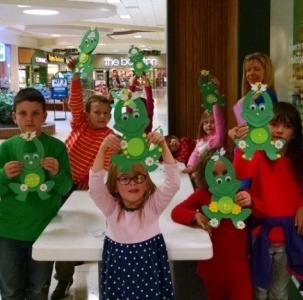 *Craft is provided by the Lycoming Mall and is only offered to education-based groups scheduled in advance. If interested in bringing a group to the exhibit, please call the number listed above for pricing and availability. Behind-the-Scenes tours at Clyde Peeling’s Reptiland provide a once in a lifetime opportunity to experience the zoo like never before. 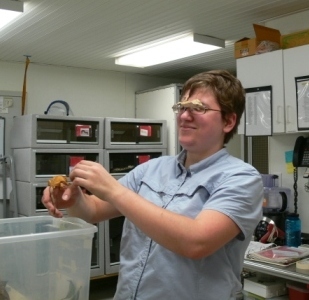 Have you ever wondered how our zoo keepers safely care for and clean up after venomous snakes and the training they must undergo in order to become confident enough to do so? 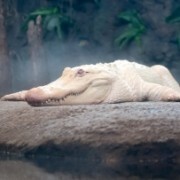 Are you curious how they can work so closely with animals such as an adult American alligator? Have you ever wondered what a tiny poison dart frog might eat? 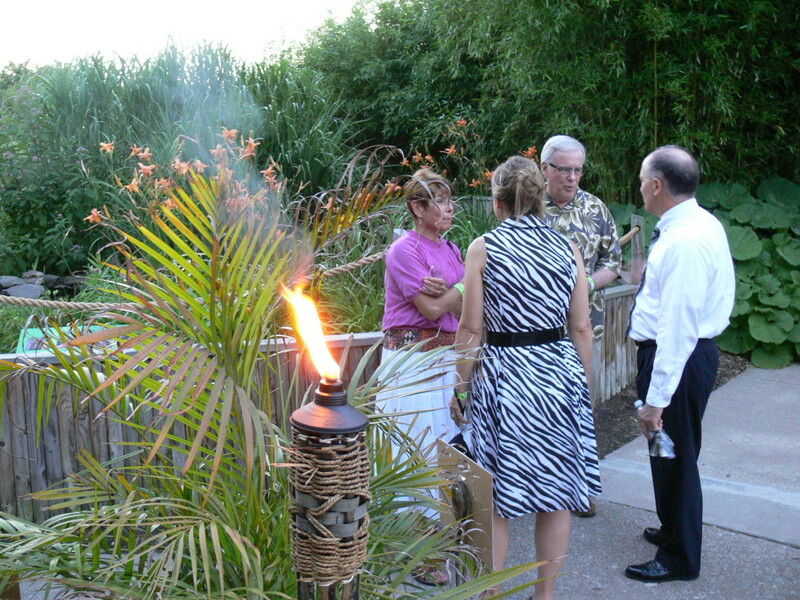 Many people often ask questions such as these during their visits to Reptiland, so several years ago we began offering Behind-the-Scenes Tours. This experience is specifically designed for the curious-natured visitor who values the one-on-one time with our dedicated zoo keeper staff. Tours are scheduled at a time that works for both parties; then it’s just you, a zoo keeper, and our off-display animals for a full 30 minutes! You may not realize it, but Reptiland cares for several hundred animals in our off-display collection. There are many reasons for this. Firstly, we have a backup supply of animals in case one of the exhibited species has any sort of health issue; we can place another animal on display for our guests to view without ever having any habitats empty. Secondly, Reptiland owns and manages a fleet of traveling exhibitions that are rented out to museums, zoos, and science centers throughout North America. These exhibits include Reptiles: The Beautiful and the Deadly, two separate units of Frogs! A Chorus of Colors, and Geckos-Tails to Toepads. 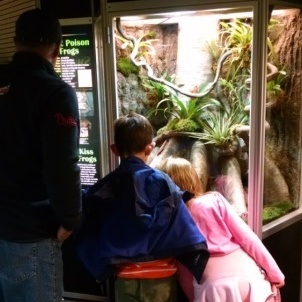 We also manage the husbandry of a fifth traveling exhibit, Lizards and Snakes Alive! which is owned by the American Museum of Natural History. 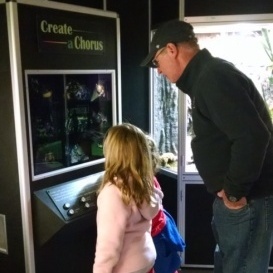 Each of these traveling exhibits includes nearly 20 species of animals within the exhibit. Part of owning these exhibitions includes maintaining a backup collection of every animal that is on display within them. You can see how all these add up to make one very large animal collection! Visitors who have scheduled a Behind-the-Scenes Tour over the past year have also been delighted by one other surprise – Komodo dragons! 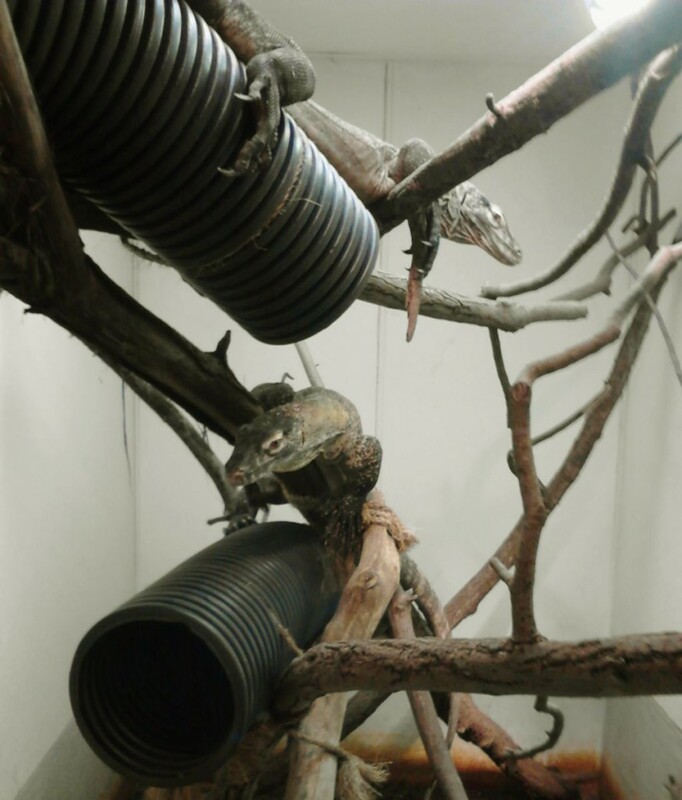 Until the completion of our Komodo dragon building sometime in the near future, these two reptiles are being raised in our off-display area under very special care. They are extremely curious and always very aware of any visitors who make their way into the Reptile room to take a look at them. *Update: the Island Giants exhibit featuring our Komodo dragons is now open! With these tours, not only do you receive the opportunity to see these many reptiles and amphibians up close, but you also will learn about the venomous snake handling procedures, the dietary needs of our collection, and all that goes along with a career in animal care. And of course, our zoo keepers are more than happy to answer all your questions along the way. 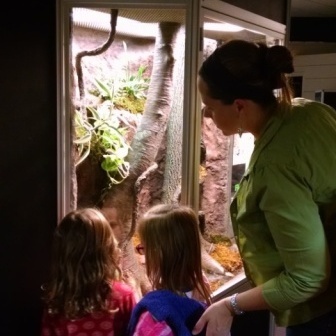 Behind-the-Scenes tours make a great experience for the animal lover, future herpetologist, or anyone who may be curious about our state-of-the-art animal care facilities. Visit our Behind-the-Scenes Tours page for more information.